There are a number of steps involving in getting one’s suspended or revoked driver’s license reinstated. And hiring a lawyer who knows all the steps involved from start to finish can make the process much more manageable. A reputable lawyer with experience in handling driver’s license issues is able to first review all the available legal options and then recommend the best course of action to take. They can also speak on your behalf for reinstatement, possibly even shortening the length of the suspension if not being able to overturn it entirely. Even if someone’s license is suspended or revoked, they often still have a genuine reason why they need to drive, whether it’s to get to work so they can continue to take care of their pending financial obligations or they live several miles from the nearest doctor or grocery store. Having highly-skilled legal representation can often result in an occupational license, which are also called essential needs licenses in some states. This makes it possible to take care of certain needs during a suspension or revocation. An occupational license is a special license that allows drivers to operate a non-commercial vehicle work, family obligations, or performance of essential duties. Work – This type of restriction lets motorists use their vehicle only if they are going back and forth to their job. It may also allow, in some cases, driving on the job, if that is part of the job description. However, they are still not eligible to operate a commercial vehicle. 2. Family obligations – This can mean parents are allowed to use a vehicle for all school-related activities, including driving children to school. They can also drive to attend all school functions that they or their children are a part of. 3. Taking care of household duties – This allows motorists who live alone or in rural areas to drive if they are doing things like grocery shopping, have a doctor’s appointment, or they need to get their own or a dependent’s medication. These types of driver’s licenses are very limited and specific in their use. Some even have specific hours on them as to when they are valid for use. Drivers on these restrictions need to adhere to any restrictions. Failure to do so can cause the occupational license to be revoked or possibly even prolong the reinstatement process of the regular license. Apply to the courts – A request for an occupational license can be made to the court where the person with the suspended license lives or to the court where the offense happened. If the courts decide the person can apply for an occupational license, then the court will issue an order to the DMV to send out the occupational license. In different states, different governing bodies decide the issuance of occupational licenses, but all the decisions go through each state’s courts and then eventually the DMV. least the state’s minimum insurance requirements. is usually issued for a period of one year or less. Courts can rule to issue them for as long as two years, but generally don’t. Pay the reinstatement costs – This means an individual must take care of all the related costs, like unpaid traffic tickets or warrants that have accumulated. Pay the fee for license reinstatement – The amount for this can vary from one state to another, but the fee must be paid in order for the driver to get their license back. Show that any required course work has been completed – Motorists are often asked to provide evidence that they were present for any driving classes or traffic school courses that they were required to attend. For example, in some states where operators lose their license due to a driving-under-the influence charge, they may have to enroll in and pass a substance abuse course. There are also, in some cases, states that require a motorist to take a driver’s test once again, just like they did the first time they applied for a license. Present proof or insurance – This may involve showing an SR-22 Proof of Financial Responsibility form from the insurance company guaranteeing that the person will be in total adherence with their state’s minimum insurance requirements. 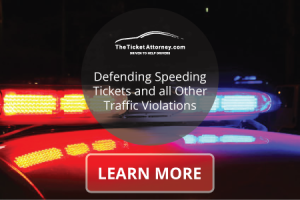 A defense lawyer with experience in traffic violations and license reinstatement can make a big difference in how successful the efforts are getting a suspended license back. They can direct their client through each step that is necessary to move the process along. They may also be able to expedite the process or get their client’s time without a license reduced while helping them avoid additional fines or penalties that can be related to the revocation.